Saturn SA - Iron Castings, Rough Machining Shop. SATURN S.A. Alba Iulia is a private company, located in Romania, having as major shareholder C.I.M.U. S.R.L. company from Cinisello Balsamo (MI) - Italy. 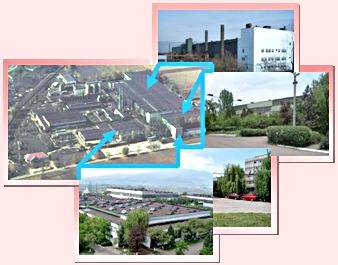 SATURN SA was founded in 1972, started the production in 1975 and it is one of the most important Romanian foundries for iron castings. It was designed and built by the German company BUDERUS WETZLAR, the main equipment being also imported from Germany. The manufacturing process is based upon a German know how. BUDERUS WETZLAR also trained a part of our technical team. The company's main activity object is the production of iron castings, delivered cleaned, rough machined, painted and tension relieved. - castings for other applications. - Weight : 150 - 35.000 [Kg]. More than 90% of our production is exported into U.E. countries. Our company uses the quality system according to EN ISO 9001:2008, being certified by TÜV Süddeutschland Germany. Last update of page: 27-06-2018 15:07.This page was generated by PHP in 1.065752 seconds. All right reserved Saturn SA.